Computer games are becoming visually realistic, and coupled with more violent storylines and characters there is concern among parents and parts of the media that violent games could encourage aggressive behaviour in those who play them. There have been links made between a number of murders and the violent games played by the murderers. To stimulate other emotions in game players we have developed an emotionally responsive computer game. Based on a traditionally aggressive role-playing environment, we have removed the violent elements and replaced with a goal to navigate obstacles using both positive and negative emotions. 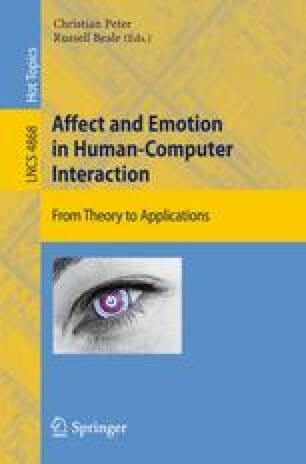 Affective cues in the speech of the player are analysed automatically using an emotion recognition system and these affect the physical and behavioural attributes of the gaming character. The character is better able to overcome obstacles based on the emotional state of the player.